On July 12th the Supreme Court of Canada handed down five decisions on copyright law. Collectively these five judgments send a strong message as to the interpretation of the rights of both owners and users of copyright protected works. In terms of owners’ rights, two of the decisions deal with the scope of the economic right to communicate a work to the public by telecommunication. A third decision addresses the scope of the neighboring right of performers and makers of sound recordings to be remunerated for performances of these works in public or for their communication to the public by telecommunication. The core issue in Entertainment Software Association and Entertainment Software Association of Canada v. SOCAN was whether a tariff could be applied to music incorporated into video games downloaded over the internet. Music is frequently a part of video games, and the makers of video games negotiate the rights to include this music in their products. No separate tariff is applied when such games are purchased by consumers from brick and mortar stores. The issue in this case was whether when the games were sold over the internet as downloads, the songs were communicated to the public by telecommunication. This would implicate a separate economic right of the music copyright holders, and would thus eligible for the imposition of a tariff. Similarly, in Re: Sound v. Motion Picture Theatre Associations of Canada the issue was whether a right of remuneration for music that formed part of movie soundtracks, the use of which would already have been negotiated with the rights holders, was triggered by each time the movie was screened, streamed or broadcast In Rogers Communications Inc. et al v. SOCAN, the issue was whether music streamed over the internet to consumers “on demand” was a communication to the public by telecommunication, to which a tariff could be applied. In reaching its decisions in these three cases the Court demonstrated both a commitment to the “balancing” approach it had initiated with its 2002 decision in Théberge, and a concern that the Copyright Act be interpreted in a technologically neutral manner. The Court found that in the case of music incorporated into video games, the right to incorporate the music into the game had already been negotiated and paid for by the makers of the video games. The only distinction between the context in which the game was sold in stores and where it was sold over the internet was the manner in which the game was delivered to the consumer. According to the majority of the Court, “it makes little sense to distinguish between the two methods of selling the same work.” (at para 1). To decide otherwise, according to the majority, would “violate the principle of technological neutrality, which requires that the Act apply equally notwithstanding the technological diversity of different forms of media.”(at para 2). In the context of online sales of the games, the internet functioned simply as a means of delivering the work to the customer who paid for the work. The majority rejected an approach that would allow for two fees – one for reproduction and one for communication – to be charged simply because of the mode of delivery chosen for the work. The decision has significant ramifications for any work that is made available online for legal downloading, whether it is a movie, game, musical work or electronic text. In Rogers, the court distinguished between using the internet to download music files from the internet (which would be analogous to the purchase of a video game over the internet, and thus not subject to a separate royalty for communication to the public) and the streaming of music to customers over the internet. In the latter case, musical works were being communicated over the Internet, and these communications were to “the public” notwithstanding the fact that “pull” technology was used such that the works communicated were dependent upon the choices of individual consumers. In reaching the decision the Court also emphasized the principle of “balance” noting that such a balance “is not appropriately struck where the existence of copyright protection depends merely on the business model that the alleged infringer chooses to adopt rather than the underlying communication activity. Whether a business chooses to convey copyright protected content in a traditional, “broadcasting” type fashion, or opts for newer approaches based on consumer choice and convenience, the end result is the same.” (at para 40). Thus in the case of consumers acquiring copies of musical or other works, the internet is used as a delivery mechanism and the work is not “communicated” in a broadcasting sense. By contrast, where the work is streamed, the act is one of communication in a manner that is equivalent to broadcasting. The Court’s decision in Re: Sound is along the same lines. The Copyright Act provides that performers and makers of sound recordings have a right of remuneration with respect to the performance in public or the communication to the public by telecommunication of their performances or sound recordings. The Act contains an exception; the definition of a “sound recording” excludes “any soundtrack of a cinematographic work where it accompanies the cinematographic work”. On the face of it, this appears quite straightforward. The producers of a movie that is to include a musical work must clear the rights to use the work in the movie; the licensing fee would no doubt take into account the fact that the movie is intended to be shown in cinemas and made available for broadcast or other forms of communication to the public by telecommunication. Therefore, it is unnecessary to provide for additional remuneration for rights holders in these circumstances. This is, indeed, the interpretation adopted by the Supreme Court of Canada. These decisions on the rights of copyright owners seem eminently sensible. They respect the right of the copyright owner to be remunerated for a commercial use of their work; at the same time, they resist what seems to have emerged as an industry practice to layer rights and royalties on single economic acts. The result is clear, straightforward, practical, and ultimately balanced. The other two decisions of the Supreme Court of Canada dealt with the ‘users’ right’ of fair dealing. 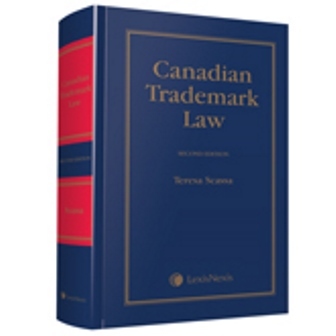 Prior to the decision in CCH Canadian, fair dealing had been treated in Canada as a rather limited exception to the rights of copyright holders. In CCH Canadian, the Supreme Court of Canada established it as a users’ right, and emphasized its role in maintaining the balance between public and private interests under the Copyright Act. In SOCAN v. Bell Canada, the Court was asked to consider the scope of fair dealing in relation to the practice of online music sites of providing previews consisting of short excerpts of musical works to customers searching for music to download from their sites. The collective societies sought a tariff that could be applied to such previews, arguing that they constituted a communication to the public by telecommunication of a substantial part of each work, thus engaging the economic rights of the copyright owner. The music providers argued that previews were consulted by customers as a form of research into the music they wished to purchase; as a result, they were fair dealing for the purposes of research under the Copyright Act. The unanimous Court ruled that these previews were fair dealing. They reiterated the view that fair dealing rights must not be interpreted restrictively, and maintained that “research” must be given a large and liberal interpretation. The Court rejected the idea that “research” could only refer to activities that led to the creation of new works or new knowledge. They maintained that “[t]o do so would ignore the fact that the dissemination of works is also one of the Act’s purposes, which means that dissemination too, with or without creativity, is in the public interest.” (at para 21). The Court found that there was a low threshold for qualifying activities as ‘research’ and that this threshold was met in this case. On the issue of whether the dealing was ‘fair’, it had been argued that the music sites made previews available to customers for essentially commercial purposes, mitigating against a finding that the dealing was fair. However, the Court was of the view that it was the purpose of users that should be considered; in this case, they used the previews “to help them research and identify musical works for online purchase.” (at para 34). The Court examined the nature of the dealing, noting that the excerpts were of 30 to 90 second portions of the work and were of a quality inferior to the musical work available for sale. The Court also rejected an approach to evaluating the volume of dealing with the work on an aggregate basis (i.e., not in relation to the portion of each work accessed, but rather the aggregate number of excerpts accessed by consumers). They noted that such an approach might undermine the goal of technological neutrality, since it would mean that “most of what online service providers do with musical works would be treated as copyright infringement.” (at para 43) The court noted as well that the previewing of musical works did not have a negative effect on the economic rights of the owner of copyright; rather, the goal of providing previews was to facilitate sales of the works, for which the copyright owners would be compensated. Having found that the copying of excerpts was for “research or private study” the court next considered whether this dealing was “fair”. They found that it was. As in SOCAN v. Bell, they rejected an approach that considered the volume of dealing on an aggregate basis; instead each excerpt had to be considered in relation to the work from which it was taken. The majority found no reasonable alternative to the dealing; purchasing the books for each student was not a reasonable alternative given that only short excerpts were required. The Court also found the evidence of the economic impact of the copying on textbook publishers to be unconvincing. They noted that there was no causal link between a decline in textbook sales and the copying of short excerpts, and that other factors could more easily explain the decline in sales. Further, they found that it was not reasonable to assume that if the copying did not take place, that the books from which the excerpts were taken would be purchased for all students. The court noted that “it is more likely that students would simply go without the supplementary information, or be forced to consult the single copy already owned by the school.” (para 36). This decision is of great significance in the educational sector because of its broad definition of “research and private study” and its interpretation of the teachers’ role in their students’ activities. It is also of great significance because it will guide the interpretation of “education” as a new basis for fair dealing introduced by the recently passed Bill C-11. The educational sector in Canada has long been squeezed for royalties by Access Copyright. 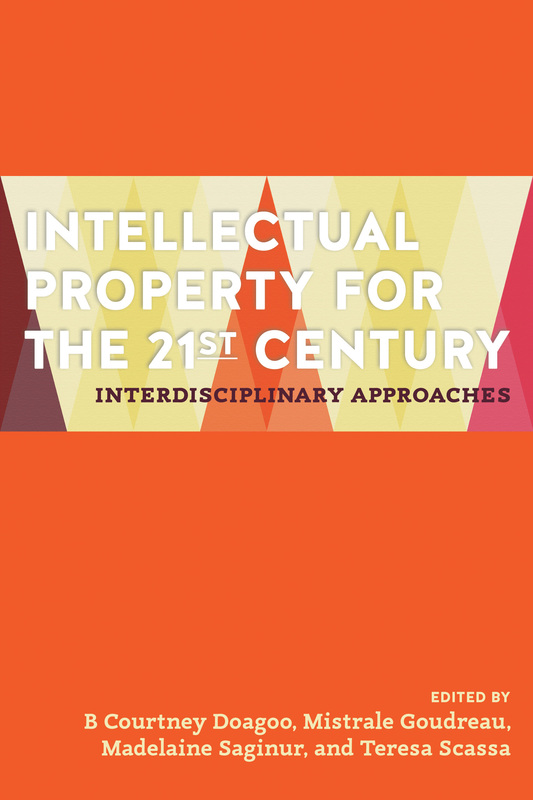 Resistance to Access Copyright’s licences has been growing, in part because of the under-inclusiveness of such licences when it comes to activities perceived as fair dealing. This decision by the Court sends a strong signal that fair dealing for the purposes research, private study, and now education must receive a large and liberal interpretation and must reflect the rights of users to access works, without payment of fees or need for a licence, to achieve these purposes. Overall, the five decisions are a strong indication that the Supreme Court of Canada remains committed to the approach to copyright law which it laid down in Théberge and CCH Canadian. Their approach is pragmatic and straightforward. It rejects interpretations of the legislation that allow rights holders to layer economic rights in order to maximize revenues for discrete uses of works. It also makes it clear that fair dealing is a significant users’ right that should be given a generous construction consistent with the public interest it serves. The Court’s approach focuses on balance, and ultimately upon common sense.